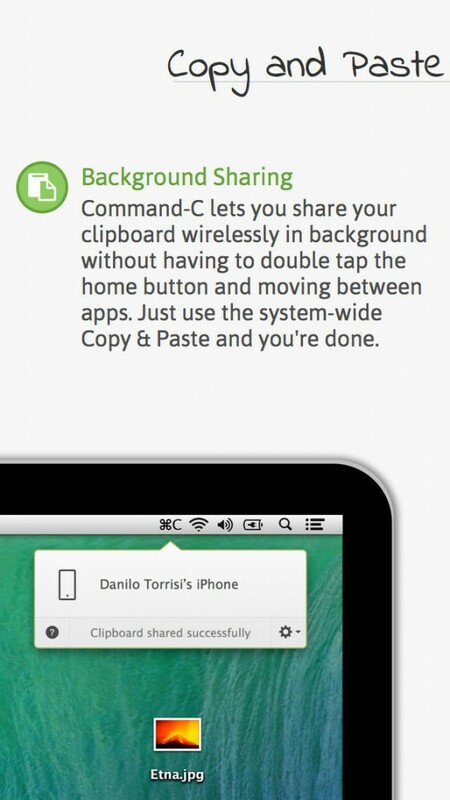 Command-C ($3.99) by Danilo Torrisi is a fantastic new clipboard utility app that allows you to seamlessly share text and images between iOS and Mac. 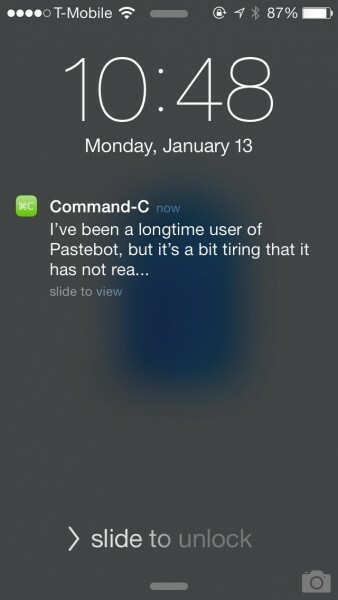 If you have been using Pastebot for quite some time now, then you will definitely need to check out Command-C.
I’ve been a longtime user of Pastebot, but it’s a bit tiring that it has not really been updated in about two years now. The market is open to new solutions in apps that make getting data between devices, and Command-C is a definite must-have if you are someone who often needs to transfer text snippets and images from one device to another. 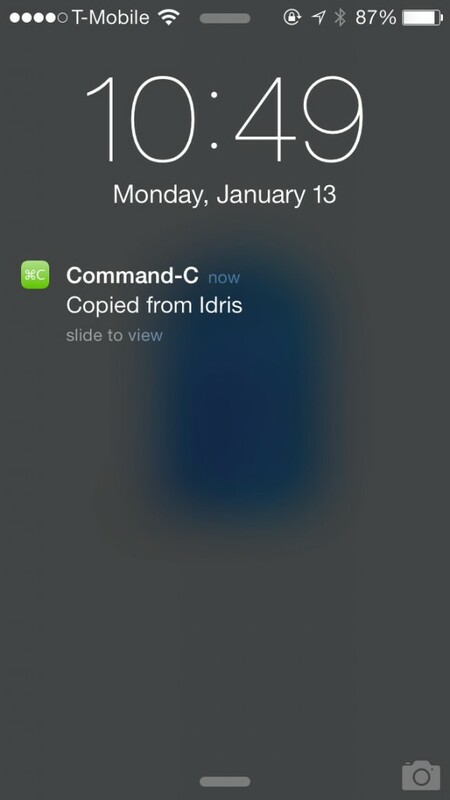 Command-C is a simple and clean iOS app that fits in nicely with the overall look and feel of iOS 7. 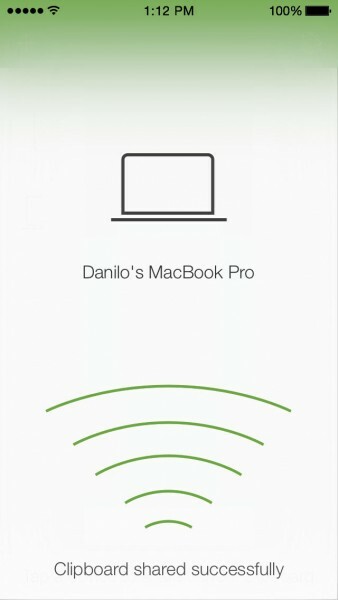 In order to use it, you will also need to download the app on your other iOS devices, as well as your Mac, and have all of your devices on the same Wi-Fi network, since this is how all of the devices will “talk” to each other. 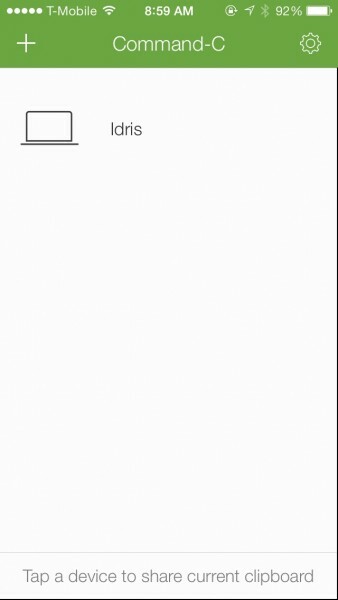 All of the setup is done through the iOS app, where it will walk you through the process of pairing it with your Mac. Bluetooth pairing is coming in the future. 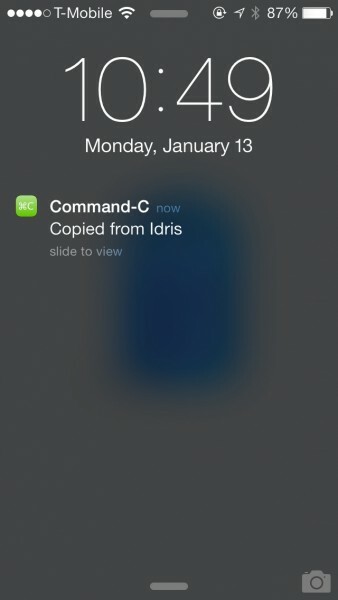 Once you have Command-C set up, it’s quite easy to share text and images between devices. 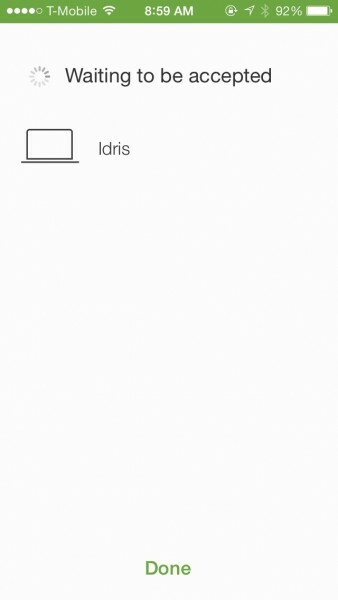 You will also want to enable notifications here, because this is how Command-C will “run” in the background so you don’t have to always have the app in the foreground for it to work. If you want to initiate sharing from your Mac, it’s quite easy. Just copy the text or image you want, and then click on Command-C in the menu bar. 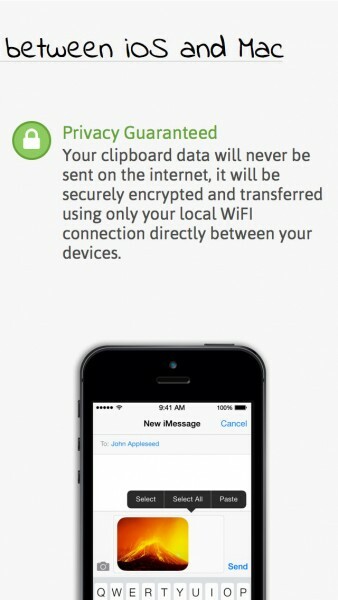 Click the iOS device that you want to send the data to, and while it’s selected (it will be green), just hit enter. The data will find its way to your iOS device, which will be immediately available if it is already awake. However, if it was sleeping, you just need to swipe on the notification to get the data to the clipboard. This text or image can then be pasted into any application you want, such as a text editor, email, message, browser for URLs, and more. Command-C will also have a similar process if you want to share from your iOS device. 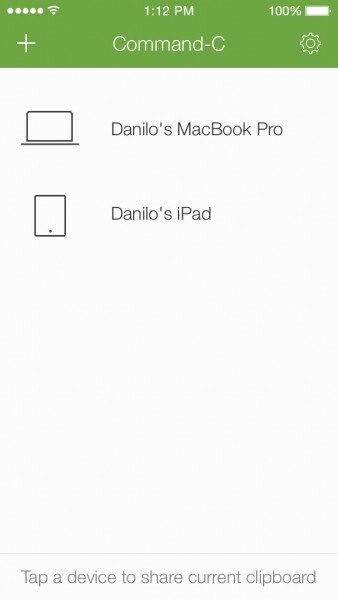 Just copy whatever text or image is needed, then launch Command-C and select the device you want to send to from the list of connected devices (iOS and Macs you’ve paired). You will see the app work its magic, and then the item will be sent magically to your Mac, along with an alert. While I’ve been using Command-C for the basic use of sharing text, URLs, and images between my Mac and iPhone, there are URL schemes that power-users can appreciate. 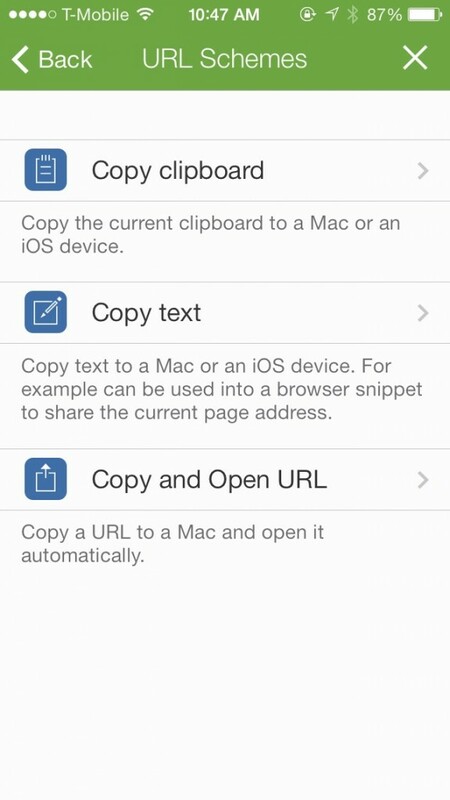 These are accessible through the app’s settings in the iOS app, and you can do stuff like “Copy and Open URL” on a Mac. You can find in-depth tutorials on how you can use the URL schemes for x-callback-urls and bookmarklets on Torrisi’s website. I’m finding Command-C to be an excellent addition to my workflow, and it is an even better experience than Pastebot. It’s seamless to stay connected and the data is transferred immediately both ways. Hopefully the ability to transfer over Bluetooth is coming sooner rather than later, and it would be nice to even have the ability to transfer data between two different Macs, rather than just iOS to Mac or vice versa. 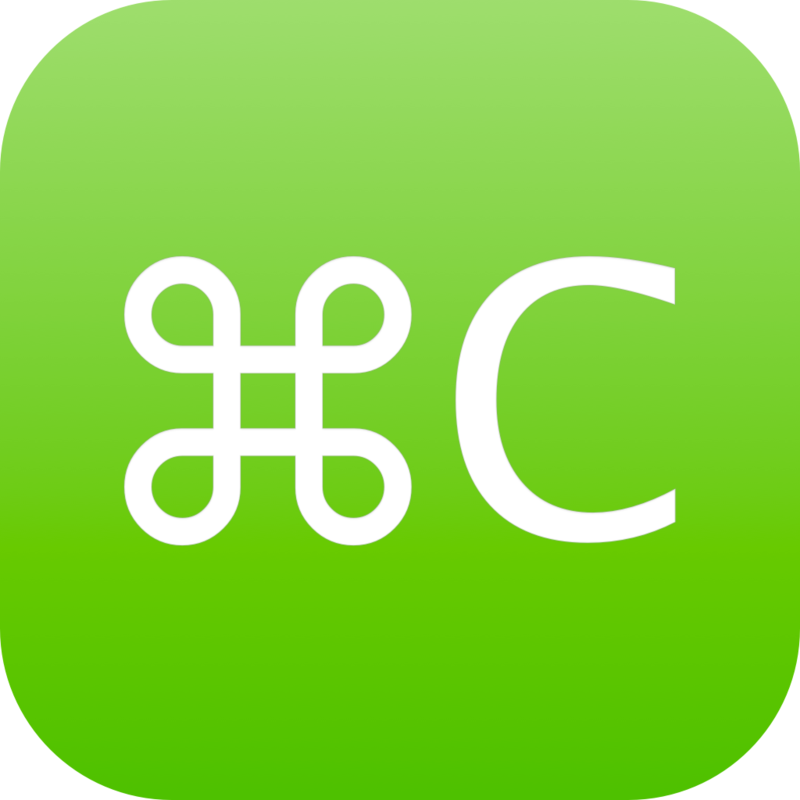 I highly recommend checking out Command-C if you are in need of a slick clipboard utility app for your iOS devices and Macs. You can get Command-C in the App Store as a universal download for $3.99.